In 1984, interstitial cystitis (IC) was considered a rare psychosomatic disorder in post-menopausal women. In 2014, the Interstitial Cystitis Association of America (ICA) celebrated its 30th anniversary. We’ve come a long way since 1984 and great progress has been made. IC is now recognized as a condition. That afflicts both men and women of all ages, including children and teenagers. It is not a psychosomatic disorder. 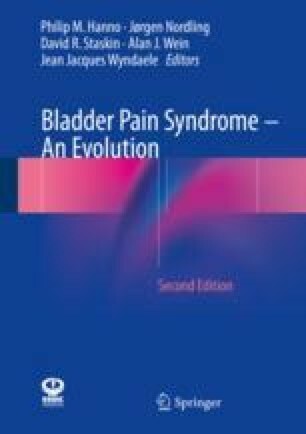 Though it was once thought to be an orphan Disease (defined as affecting less than 200,000 people), we now know that there are millions of women and men who suffer from IC/BPS (bladder pain syndrome). In looking back over the past 30 years, there were seven key reasons why the ICA Became so successful: an extremely dedicated ICA staff, Board of Directors and Volunteers, a very strong Medical Advisory Board and participation of many other Urologists from across the country and around the world; cooperation of the media; epidemiological studies; the ICA’s Pilot Research Program; advocacy and our representation in Congress; and a strong working partnership with the National Institutes of Health (NIH).Great progress has been made, although we are still in the very early stages of understanding this disease, its causes, and finding treatments that are uniformly effective. A great deal of gratitude to Professor Gayle Greene, Scripps College, CA, for her excellent editing of this paper and to Gerry Buena, Independent Researcher, Stanford University. This paper is dedicated to the many outstanding ICA staff, Board Members, volunteers, Medical Advisory Board Members, and to the many IC/BPS patients and urologists and other specialists worldwide, both past and present, who have worked with the ICA over many years.It is also dedicated to the millions of patients with IC/BPS who have endured an immeasurable amount of suffering, and to those who, unable to endure such suffering, found suicide as the only way out.And finally, this paper is also dedicated to Daniel Brookoff, M.D., (now deceased), who was one of the finest, most compassionate and extraordinary physicians I have ever known.